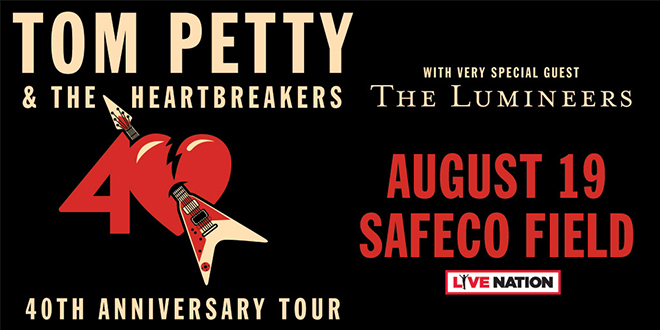 Monday Monday Music: Tom Petty's Last Dance? MK and I are up here in Seattle enjoying our visit with family and seeing our newest grand child, Hampton for the first time. 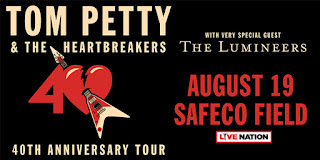 We have been stalking this Tom Petty and the Heartbreakers current (last) tour for awhile now as our initial plans were to go to the Red Rocks show (with guest Joe Walsh) but had to pass on that one. When the August 19th date came out, we jumped on it as we knew we would be up here to see our new bundle of joy as everything seems to be working on a cosmic groove at the moment. Today is the eclipse, so something's lining up for us up in the sky as well as down here in the beautiful pacific northwest. Here is the setlist from Saturday night as you know this show was going to be heavy with the hits. Other than the electrical power totally cutting out on the entire band for one song, it was a fantastic Seattle evening in August. 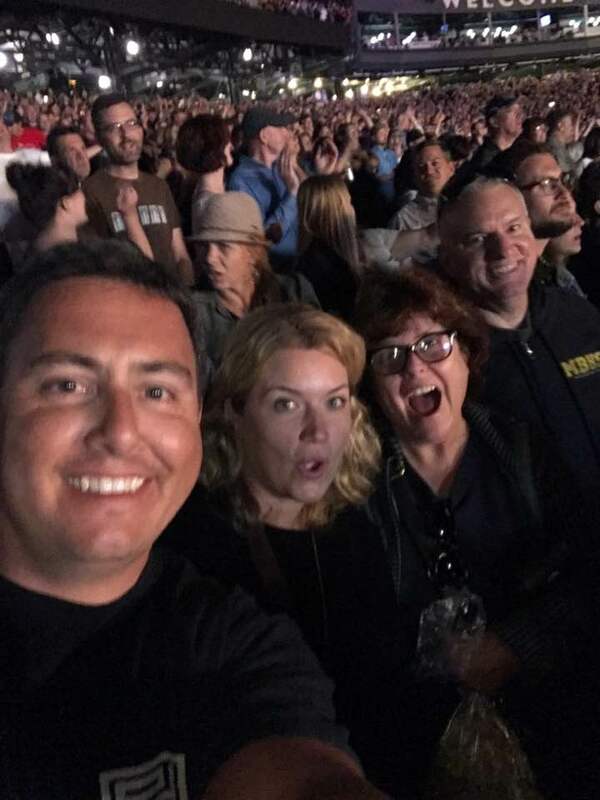 MK's daughter, Abby and her husband Spencer joined us for this concert with field level seats by first base. If this had been a Mariner's game, we would have been flipping out with our location, but as the stage has to be in center field, well you've got to love those big screens. The sound was great and Tom and the band after 40 years still have it as this was my first time seeing them live. Not only is Tom's voice still fantastic, The Heartbreakers are one of the best bands of all time and still playing at a level to match their top tier status. The band delivered big time and with Mike Campbell on lead guitar, this was a bucket list event for me. Tom says this is his last tour but his fans are certainly hoping it's not his last dance. What you have to admire about Tom Petty and the Heartbreakers is their longevity and across the board appeal with kids, millennials and their old fart parents who were also well represented last night. Hey, other than the smell of pot, it was a family friendly event. Actually, it was very friendly as Tom's songs got three generations of people singing along and I was right there with them. I haven't been to a stadium show in awhile and this was a packed sold out show. Seattle, you were a great crowd and respectful with the crush of humanity on the way out. So, I leave you with my Tom Petty playlist with mostly concert video from the past and the 2017 tour to start off your Monday. And, if you want to dive deeper into the complete history of Tom Petty and the Heartbreakers, I highly recommend the 2007 four hour documentary Runnin' Down a Dream on Netflix (viewed over a couple of nights).